Piper Kerman speaks Monday, Nov. 18, at SSU's Student Center Ballroom. 1801 East Cotati Ave., Rohnert Park. 7pm. $15; SSU students free. 707.664.4246. MADE FOR TV Piper Kerman says the hit Netflix series isn't an accurate portrayal of her own life. After serving 13 months in prison, Piper Kerman left hungry for two things. The first? A slice of pizza. The second? A drive to tell the diverse and often heartbreaking stories of the women she met while serving time at a federal correctional facility in Danbury, Connecticut. "It was really clear to me that there was a great interest in what happens behind the walls of prisons and jails," Kerman recalls by phone. "It is a very hidden, very intentionally hidden world." These stories, along with her own, became the best-selling 2010 memoir Orange is the New Black: My Year in Women's Prison. The title is familiar for fans of the Netflix original Orange is the New Black, a brutal, racy, darkly funny and highly addictive series that's become a much-buzzed-about hit after its premiere earlier this year. Kerman speaks Nov. 18 at Sonoma State University. 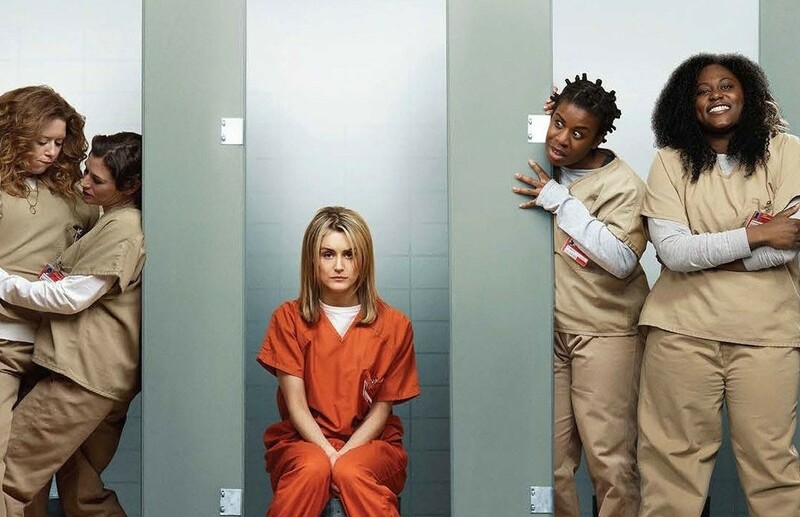 Created by Jenji Kohan—producer of the controversial Showtime series Weeds—the show revolves around Piper Chapman, an affluent and privileged Park Slope denizen sentenced to 15 months for a low-level, ten-year-old drug offense. While in her early twenties, just like Kerman, Piper Chapman became romantically involved with an older, sophisticated woman who happened to work for an international drug cartel. Also like Kerman, a one-time rash decision to carry drug money across international borders ends in a money laundering and drug trafficking conviction. The show is lauded for the racial, sexual and socio-economic diversity of its cast, while simultaneously critiqued for employing a white woman as the entry point into a marginalized prison society, a charge that Kohan responded to in an NPR interview. "In a lot of ways Piper was my Trojan Horse," Kohan told Terri Gross on Fresh Air. "You're not going to go into a network and sell a show on really fascinating tales of black women, and Latina women, and old women and criminals. But if you take this white girl, this sort of fish out of water, and you follow her in, you can then expand your world and tell all of those other stories." What the show does incredibly well is capture the humanity and the multi-layered narratives of America's fastest growing prison population. The number of incarcerated women has grown 646 percent between 1980 and 2010. Most are low-level offenders who've made serious mistakes but pose little threat of violence, says Kerman. Also, 80 percent of criminal defendants are too poor to afford a lawyer, leading to serious questions about the inequity of access to justice and fairness in sentencing.